The Steel and Engineering Industries Federation of Southern Africa (SEIFSA) seeks to appoint an experienced Admitted Attorney as an Industrial Relations and Legal Services (IR&LS) Executive, who will also serve as Company Secretary. Reporting primarily to the Chief Executive Officer on Legal Services and Company Secretary duties and to the Operations Director on the IR part of the job, the IR&LS Executive will be a member of the Executive Committee and assume overall responsibility for training and consulting on IR and legal services. Be part of SEIFSA’s Negotiating Team on wages and conditions of employment with industry trade unions. Hold at least an LLB degree. Understanding of the metals and engineering industries, collective bargaining and experience as a commercial lawyer will be advantages. Applicants should send their CVs, with motivation of their candidature to melanie@seifsa.co.za. 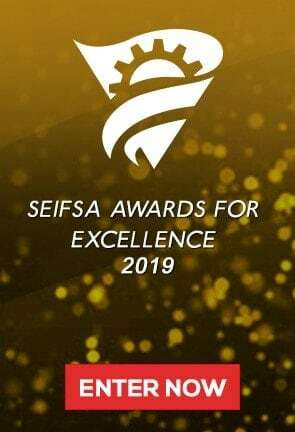 SEIFSA is a National Federation representing 23 independent employer Associations in the metals and engineering sector, with a membership of about 1 800 companies employing just under 200 000 employees. The Federation was formed in 1943 and companies in Associations federated to it range from giant steel-making corporations to micro-enterprises employing fewer than 50 people. SEIFSA’s Core Business is to represent and promote the interests of business in Southern Africa, in particular the metals and engineering industries, through lobbying and capacity building, provision of related services and building of good relations with key stakeholders. SEIFSA is committed to the country’s laws on transformation.